It is made of recycled plastic - so you're helping to preserve the planet and keeping waste out of landfills! It is an eco-friendly, green choice - recycled waste is turned into a product that will last decades. No need to rebuy new pieces ever few seasons! It is maintenance-free - put down the sander and wood sealer and get back to relaxing! 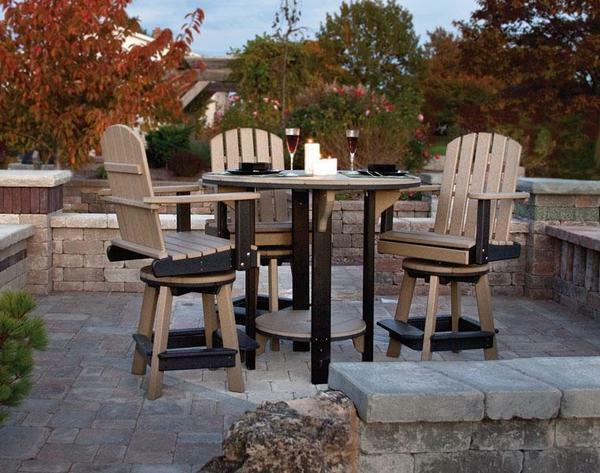 It will not chip, crack, rot, or develop mold - the poly material is impervious to the common downfalls of most other outdoor pieces. It is mildew resistant and termite resistant - bugs don't like to eat poly! This Amish poly pub table and bar stools are built by skilled Amish woodworkers in Lancaster County, PA who make quality outdoor furniture. So, investing in this American Made product is also good for the country. Each piece is made for life outdoors and will stand up to decades of weather, while still maintaining a beautiful appearance. And, to back up that claim, your new set comes backed by a 20-year warranty for residential use, so you can create the outdoor space you've been looking for, without the stress of investing in lesser quality furniture that will need to be replaced every year or two. Customize the look of this outdoor furniture by choosing from over 15 solid colors or create a two tone look with two colors. 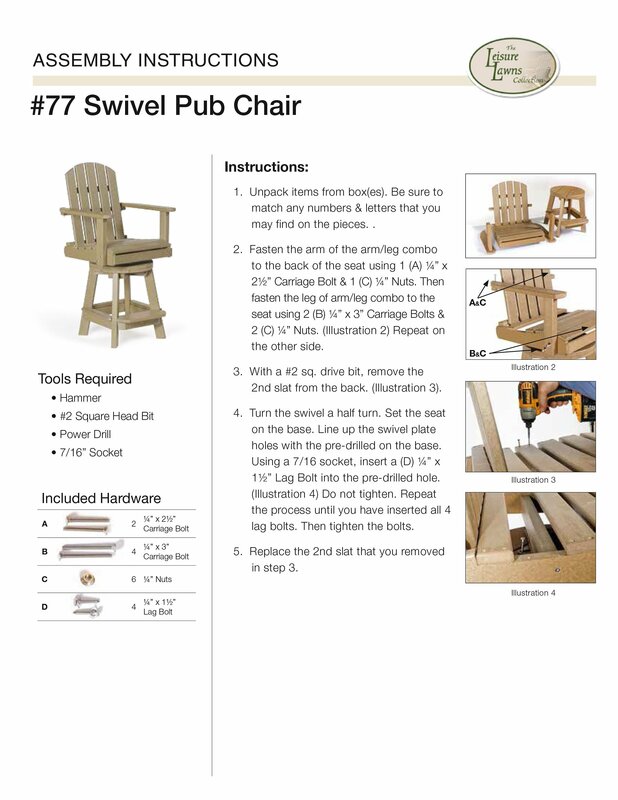 Take a look at our Curved-Back Pub Patio Set with Four Swivel Chairs if you are looking for a different chair style. *Table will come standard with an umbrella hole unless requested otherwise. *The Slat Color you choose will consist of the chair back, seat, and legs for the chairs, along with the table top and lower footrest. *The Frame Color you choose will consist of the arm support, seat base, footrests, and accent pieces on the chair, along with the legs and secondary color below the tabletop and lower footrest. Please pass along my gratitude to the entire staff!